This week I'm going on holidayyyyy YAY!! Me and my family are driving to Devon for a week before making our way towards Dorset, where we'll stay for anther 3 days. 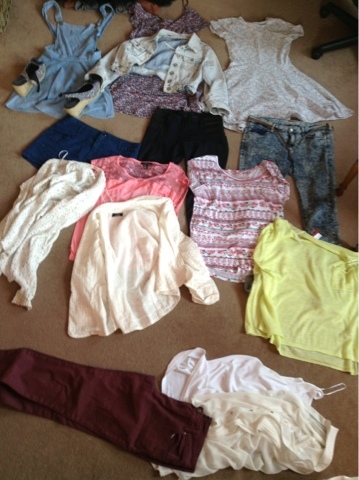 Now as the English weather is, lets say, a little unreliable, I thought I better pack pretty much all kinds of clothes. Jumpers, jackets, shorts, skirts, t-shirts, wellies and flip-flops. No chance of me travelling lightly! But I seriously cannot wait to go! I think we're going to do some walking and cycling and one day I think we're going to Exeter Shopping Centre for some shoppingggg! So I'll take a load of photos and so I can share my Holliday snaps with y'all!